5G will one day be something special that could change the way our lives are connected. I don’t think even me, the resident 5G pessimist, will deny that. The instant and ultra-fast connectivity has the opportunity to improve how society functions on a number of levels. All involved in the rollout of 5G will tell you that today, over and over and over again. It’s their pitch for why you need to care about 5G at this moment in time. The thing is, we’re so far from that reality that it doesn’t make a lot of sense to help spread that message and get you to care about 5G yet. Not only that, but the messaging is so all over the place that 5G is a confusing mess. For now, I think the confusion is 5G’s biggest problem that may be tough for its backers to overcome as they try and sell you on its future. Look at that image above for a second. Those are only a selection of the names we have currently for 5G, and yet 5G barely exists. Verizon is already using 5G Home, 5G Mobility, and 5G Ultra Wideband (5G UWB) to refer to their various 5G initiatives. AT&T has 5G Evolution (5GE), 5G+, and will likely use the generic 5G symbol down the road. You have Sub-6 5G to consider later on, but today it’s all about 5G mmW (millimeter wave). There are terms like 5G NR (the 5G standard) and 5G TF (Verizon’s non-standard 5G that they’ve quick deploying) too. There could be more that I’m forgetting, but you get the point. 5G isn’t just 5G. 5G is a combined effort of a number of technologies that will eventually create the future of connectivity. And again, we’re years away from that effort reaching any sort of maturity, so as we get there, it would be great if the players involved were to ease us in. They aren’t doing that in a good way. Verizon and AT&T have made this all worse than it needed to be in a race to say “First!” Verizon launched their 5G Home service on non-standards-based 5G, while AT&T took the shady route by including a 5GE logo on their phones, even though 5G Evolution has nothing to do with 5G. Both of those companies are now deploying real 5G, but neither is doing it cleanly. 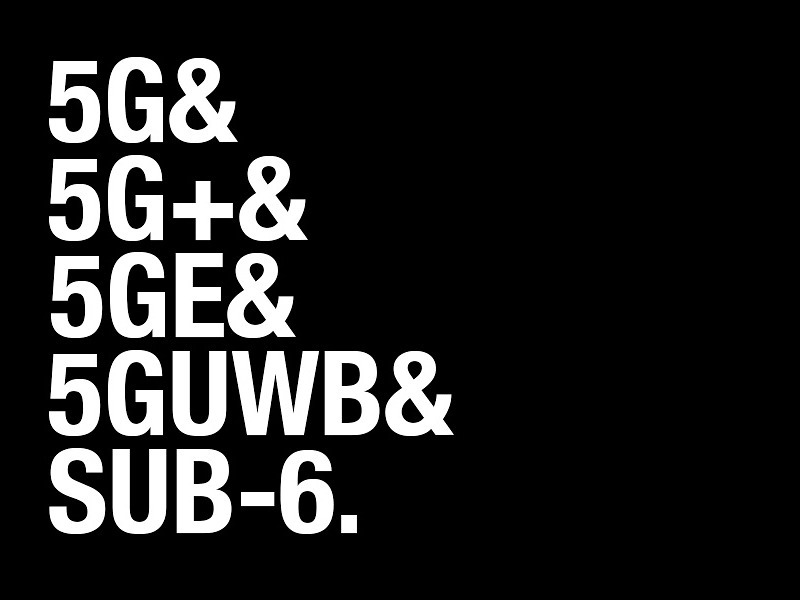 Verizon announced and then launched its 5G Mobility service, yet almost never refers to it as “5G Mobility.” Instead, they are pushing the 5G Ultra Wideband branding, including this awful “5GUWB” logo on the Moto Z3 as it connects to their 5G mmW towers. They’ve stopped deploying their Home service until later this year, but when they kick off that expansion again, well, that’s more branding to think about. AT&T started day 1 of its 5G mobile journey by calling their 5G mmW service “5G+,” even though mmW is a single part of the whole 5G equation. That leaves open a door for another branding when they deploy Sub-6 5G. They are getting sued by Sprint over 5GE and the possible damages that has done to the world of 5G. It’s a mess. We don’t know what Sprint and T-Mobile will do with 5G messaging because neither is ready to kickoff 5G just yet. You can probably imagine that they’ll only add to the confusion, though. Beyond the naming confusion, part of problem is going to be clearly explaining the difference in logos and connectivity types once 5G is available to more than a select few customers in a select few areas of a select few cities. For example, you’ve got 5G mmW, which is the fast stuff, but it’s reach and availability are always going to be limited. Once carriers push their Sub-6 networks with greater reach, we’ll have more access to 5G. However, that may not mean the ultra-fast speeds you probably associate with 5G. T-Mobile has already said that their early 600MHz 5G network won’t be much faster than 4G LTE. How do you think customers will feel about that, especially if you start charging more for a technology that may not offer much of an improvement over what you previously had. 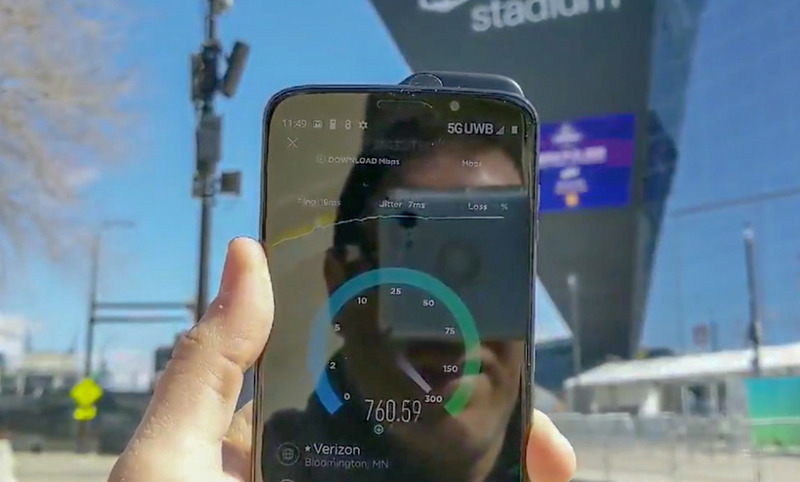 Verizon wants $10 extra per month to access its limited 5G Ultra Wideband network. AT&T has shown that its 5G data plans might not be cheap when it starts selling phones either. They may nickel and dime you for everything you connect to 5G. Speaking of phones, don’t forget that 5G phones are going to be more expensive than the LTE phone you own now. Not only that, but the first wave might only connect to Verizon or AT&T’s current 5G networks and not those they will launch over the coming years. The first phone or two we expect will only be 5G mmW compatible. We’ll need another wave of phones to get us on 5G mmW and Sub-6 5G. Customers are going to wonder why the phone they paid extra for can and can’t connect to this particular network that they are paying an addtional monthly fee for. Are you starting to see the worry here? And I haven’t even talked about the technology behind 5G, like the spectrum involved, different bands that will be supported out of the gate, and how impossible it’ll be to take phones from one carrier to the next. Right now, there is a good chance that your 4G LTE phone from AT&T or T-Mobile or Verizon will work on another carrier. You know from the logo that you have a 4G LTE connection. It may speed up or slow down at times, but the messaging is simple and straight forward. With 5G, carriers are already making this more difficult than it needs to be as they try and stand out.